Lieutenant Burtner died in an automobile accident near Del Rio, Texas, on March 20, 1967, a few days after he had received his wings as an Air Force pilot. A Philosophy and English major and a graduate of the class of 1965, he was the son of Lieutenant Colonel Clare Paul Burtner and Mrs. Margaret Burt Burtner of the class of 1941. He was at Dickinson a member of the Kappa Sigma fraternity and served all four years on the Student Senate and as its president during his senior year. 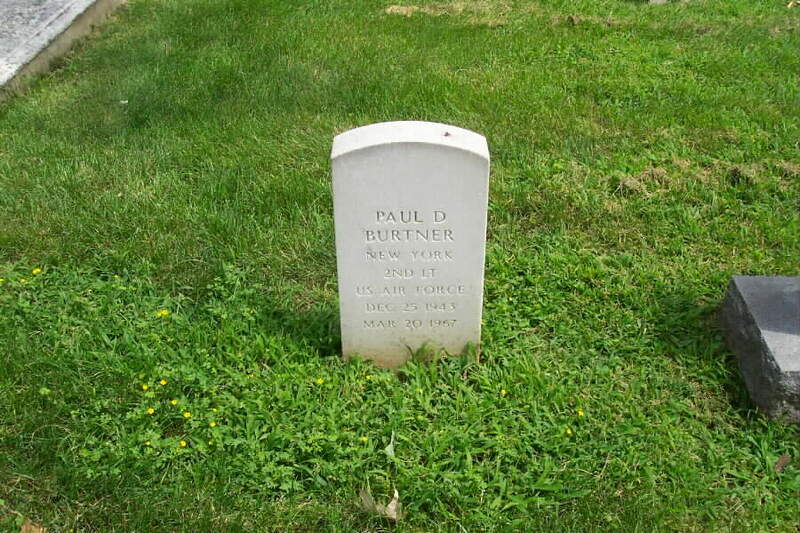 He is buried with his Father, Clair Paul Burtner, Jr., Colonel, United States Air Force.